Select a model below to view more Featured BMW Specials. $2,750 down plus drive-off due at delivery plus rebates. 10,000 miles per year. Offer ends 4/30/2019. Important info. $3,000 down plus drive-off due at delivery plus rebates. 10,000 miles per year. Offer ends 4/30/2019. Important info. 2018 BMW M240i xDRIVE COUPE – BRAND NEW! • Harmon Kardon® Premium Sound System! • 14-Way Power Front Sport Seats! 2018 BMW 328d SEDAN – BRAND NEW! $3,250 down plus drive-off due at delivery plus rebates. 10,000 miles per year. Offer ends 4/30/2019. Important info. • 10-Way Power Front Sport Seats! 2018 BMW M3 CS SEDAN – BRAND NEW! • Heated Front M Sport Seats! • 2-Way Power Glass Moonroof! • 40/20/40 Split Fold-Down Rear Seats! • 14-Way Power Front M Sport Seats! $3,500 down plus drive-off due at delivery plus rebates. 10,000 miles per year. Offer ends 4/30/2019. Important info. • 16-Way Power Front Sport Seats! 2018 BMW M550i xDRIVE SEDAN – BRAND NEW! 2019 BMW M5 SEDAN – BRAND NEW! • 20-Way Power M Front Seats! 2019 BMW M5 COMPETITION – BRAND NEW! $5,500 down plus drive-off due at delivery plus rebates. 10,000 miles per year. Offer ends 4/30/2019. Important info. 2018 BMW 650i GRAN COUPE – BRAND NEW! • 10-Way Power Front Seats! • 20-Way Power Front Seats! 2019 BMW 650i xDRIVE GRAN COUPE – BRAND NEW! 2018 BMW M6 GRAN COUPE – BRAND NEW! 2018 BMW M6 CONVERTIBLE – BRAND NEW! 2019 BMW M6 GRAN COUPE – BRAND NEW! 2019 BMW Alpina B6 xDRIVE GRAN COUPE – BRAND NEW! • SurroundView Cameras w/ 3D View! • Heated Seats & Steering Wheel! • Advanced Vehicle & Key Memory! • AC Synchronous Electric Motor! 2018 BMW i3 S – BRAND NEW! • 3-Stage Heated Front Seats! • With 2 Cyl Gas Range Extender! 2019 BMW i3 Range Extender S – BRAND NEW! • 0-60 in 4.2 seconds! $6,000 down plus drive-off due at delivery plus rebates. 10,000 miles per year. Offer ends 4/30/2019. Important info. 2019 BMW X1 sDrive28i – BRAND NEW! 2019 BMW X1 xDRIVE28i – BRAND NEW! • Active Lane Keeping Assist! 2019 BMW X2 xDRIVE28i – BRAND NEW! 2019 BMW X2 M35i – BRAND NEW! • 6.5″ High-Res Touch Display! 2019 BMW X3 xDRIVE30i – BRAND NEW! • 1st and 2nd Row Sunroof! 2018 BMW X5 xDRIVE40e iPerformance- BRAND NEW! 2019 BMW X5 xDRIVE40i – BRAND NEW! $4,500 down plus drive-off due at delivery plus rebates. 10,000 miles per year. Offer ends 4/30/2019. Important info. 2019 BMW X6 sDrive35i – BRAND NEW! 2019 BMW X7 xDRIVE40i – BRAND NEW! 2019 BMW X7 xDRIVE50i – BRAND NEW! • 20-Way Power Front Sport Seats! • 8-Speed Sport Auto Transmission! *Sales price includes all applicable rebates. Plus acquistion fee of $925. Tax, title, license, registration and dealer fees are additional fees due at signing. Lease and APR Cash amount varies by model. Must be approved thru BMWFS ELITE Tier. Excess mileage charge of $0.25/mile for leases on BMW 1, 2, M235, 3, 4, 5, X1, X3, X4, X5, X6, Z4, i3. 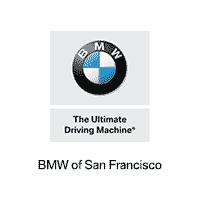 Excess mileage charge of $0.30/mile for leases on BMW 6, 7, M (M3, M4, M5, M6, X5M, X6M), i8, 7 Alpina. Cannot be combined with any other offer including but not limited to advertised price, promotions, discount, or coupon. Cannot be exchanged for cash. Not valid towards a previous purchase. Void where prohibited by law. Other restrictions may apply, see dealer for complete details. *QUALIFIED CUSTOMERS MUST LEASE OR FINANCE A MY2017 OR MY2018 BMW 5 SERIES, 7 SERIES, X5 & X6 THROUGH BMW FINANCIAL SERVICES NA, LLC BY NO LATER THAN April 30, 2019. LEASE AND FINANCE CONTRACTS ARE SUBJECT TO CREDIT APPROVAL; NOT ALL CUSTOMERS WILL QUALIFY. OFFER APPLIES TO NO MORE THAN THE SCHEDULED MONTHLY PAYMENT(S), STATED ABOVE, THAT HAVE NOT BEEN PAID ON THE EXISTING CONTRACT AND MAY NOT BE USED TO PAY OFF AN EXISTING BMW LEASE OR RETAIL CONTRACT. SELLING DEALER IS RESPONSIBLE FOR MAKING REMAINING PAYMENT ON TRADED-IN VEHICLE. PLEASE BRING A COPY OF YOUR CURRENT COMPETITIVE LEASE OR FINANCE PAYMENT INVOICE SHOWING YOUR ACCOUNT NUMBER, PAYMENT AMOUNT AND CONTRACT END DATE. END OF TERMS CHARGES, INCLUDING BUT NOT LIMITED TO EXCESS WEAR AND TEAR, EXCESS MILEAGE, TAXES AND PAST-DUE PAYMENTS ARE THE RESPONSIBILITY OF THE ORIGINAL CUSTOMER. COMPETITIVE LEASE PAYMENT OFFER IS TRANSFERABLE PENDING CREDIT REVIEW AND IS VALID THROUGH April 30, 2019, AND MAY BE COMBINED WITH OTHER OFFERS UNLESS OTHERWISE STATED. OFFER IS TRANSFERABLE PENDING CREDIT APPROVAL, NONNEGOTIABLE AND NOT REDEEMABLE FOR CASH. SEE BMWSF FOR DETAILS.